"You're two o'clock appointment arrived." "Hi!" The woman greeted as she entered the room. "I am Avery, Avery Grace. And I'm here to talk..." "About the Newcrest issue, right?" The woman glanced at Avery through her glasses. "Right." Avery said. "Angela Montgomery." The woman behind the desk introduced herself. 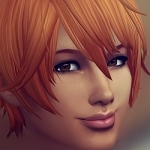 "Miss Grace, you showed some particular interests in Newcrest. How come?" "Well." Avery started. "Where do I start?" She giggled nervously. "Lately I've been feeling like my existence will be in vain." Montgomery glanced at Avery as she continued. "I'm no doctor or scientist, nor will I ever have any accomplishments that will make me memorable." Avery looked at the obviously bored woman in front of her. "So, I thought.. Let's start a legacy, something that will carry my name forth for many generations!" "Excuse me, miss Grace. I'm not your therapist and neither am I here to listen to your midlife crisis. I'm an important member of the county council, here to talk about Newcrest and if this conversation isn't going to be about that certain issue I suggest you leave." "But that's it!" Avery said in a slightly louder tone than usual, but definitely not shouting. "Willow Creek is overpopulated, Oasis Springs is flooded with criminals and don't get me started on Windenburg. That's a place to party, not to start a legacy!" Avery took a deep breath. 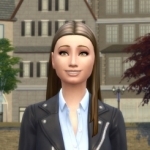 "I want a safe environment to start this legacy, as soon as I heard about building plans in Newcrest I was convinced that would be the perfect place to start a legacy. I'm here to buy ground and to get a building permit in Newcrest, to build my own little home while the city grows. I would camp on the bought ground, while my own house is build, because I love the outdoors and...."
"Miss Grace, there are indeed building plans for Newcrest, but with the current situation those won't take place in years." Avery swallowed. "What do you mean?" Angela Montgomery was annoyed by the girls naivety. ""What I mean is that the city 'Newcrest' won't be realised until a long time. We don't have any builders or architects." A silence fell in the room. 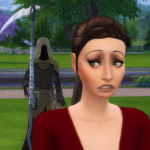 Although Angela Montgomery wasn't really fond of the woman in front of her, she was of Newcrest. The city would offer her a more important function. "Unless..."
"You want to leave your stamp on the world, right?" Avery nodded. "Yes I do." "And a minute ago you said you would build your own house? " Avery once again nodded, "If I get a building permit, yes. My father used to be a architect and that rubbed off on me." "I" Angela started "Need someone to build Newcrest. Someone with experience and who truly knows what they're doing. It will cost you years of preparation." Deep down Angela was mean, she knew that and she mostly suppressed it, she had to stay professional to keep her job.. "I have an offer, but it isn't just something anyone can do." But this was a opportunity she couldn't resist. Equality: The Founder may be of either gender. Both boys and girls are eligible for the title of heir. Strict Traditional: To be eligible to be named heir, a child must be naturally born from their previous-generation parents and be able to trace an unbroken bloodline back to the founder. Adopted children may never be named heir. Democracy: This rule may be used if you are displaying your Legacy Challenge in some public way. Either via Let’s Play, Livestream, blog or other format where people can leave comment. The heir is chosen by your viewers/readers from among the pool of eligible heirs. "And?" Hugo Grace, Avery's father stood up as soon as his youngest daughter entered the waiting room. "I got it, I'm going to live in Newcrest." Nova, Avery's sister embraced her. "I knew you could do it." She whispered. "I'm not only going to live there..." Avery continued as her other family member proceeded to hug and congratulate her. "I'm going to build a legacy." "We know, honey! You told us." Tanya Grace-Romero said as she hugged her daughter. "And...." Avery was still unsure how her parents would react to this. "And me and my lineage will be responsible for building the city." As required for the rules, Avery's aspiration is Freelance Botanist. Her traits are good, creative and loves the outdoors. Thank you for reading my first episode! If you have any tips or questions, feel free to share them! 1.3 Let's make a friend! 1.22 "Will you marry me?" 2.9 Will you... Move in with me? 2.50 Gen 3 heir vote! Anyway, I'm bringing you a handful of cc today. First, we finally have The Butterfly Effect book. I'm afraid the ingame version is not as colorful as Love & Ruin series. Still worth dowloading. Second, I made a poster too. Download here. Third, I made readable magazines. You can download them here, but you will need this MESH by to be able to use them. Just type "magazine" in the search window in buy mode to find it quickly. @Pwhiskers Thank you very much! I'm really curious about Avery and her family's future too! Do you have a blog where I could check out your legacy? I would love too if you do. Fingers crossed for your founder. Let her legacy be strong and builds a beautiful city! Thank you, I hope for the best! 1.1 "A Little Camping site"
"That's what it looks like. "Avery thought. Besides having to pay a lot of money for the ground and an iron knight, something about securing your legacy Angela Montgomery said, Avery was forced into paying a huge amount of money to cover the building costs. Leaving her with just enough for some camping utensils and some seeds to grow her own dream garden. For now building a house, was unthinkable. Avery potted the seeds she bought. The plants weren't really something special yet, but Avery had good hopes for her little garden. All a plant needed was water, sunlight and love after all. Right? Avery looked around the lot. She hoped to expand her garden with some other plants soon, but then she needed seeds. She would really like some strawberry's and Snapdragon, Willow Creek was full of Snapdragon, but she wouldn't set a foot there to get some. A beautiful flower caught her attention. It wasn't Snapdragon, but certainly something she wanted in her garden. It wasn't really ready to be harvested yet, so she decided not to do so until it was. Soon Avery realized her lot was surrounded by plants and rocks and... A pirate ship? "Excuse me." Avery said to the little girl who had climbed high up in the boat. 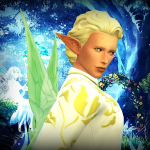 Angela Montgomery assured her that Newcrest wasn't livable yet. "How long has this ship been here?" The little girl stared at her. "A long time!" She said enthusiastically. "I've been coming here to play for like, a few weeks!" Avery was confused, wasn't Newcrest supposed to be empty? "Sometimes my dad comes with me a then he grills sausages for me!" The girl continued. "Sausages?" "Yes sausages! On the barbecue over there." Avery said her goodbyes to the girl and promised her she would play with her sometimes as she walked over to the little park where a woman was grilling... fish? Maybe? "Hi, there." Avery greeted. "I'm Avery Grace." The woman slapped the food on the grill with her spatula. "I'm sorry." The woman said in an irritated tone. "Normally I'm really cheerful, but today I'm just so angry!" "That's sad to hear." Avery responded. "What made you so mad?" The woman looked dazed. "I.... I don't really remember." She said. "Well, maybe you should let it go then." Avery said, why would you be mad if you don't even know why?" The woman nodded "You're right." She said. "I'm sorry you came to introduce yourself. Avery, right? I'm Mila Munch. "Avery smiled. "Nice to meet you Mila, are you new in Newcrest?" Mila laughed. "Newcrest? I'm from Windenburg! I just come here to relax sometimes. Newcrest doesn't have any houses, no one lives here." "I do, though!" Avery said. "That's my tent right over there." She pointed at the lot next to the little park. "I plan to build a huge park there." Avery suddenly remembered why she walked over here. "That's what I came to ask! I am supposed to build Newcrest! So I was wondering where this little park and that pirate ship came from?" The woman gestured at the pirate ship. "That one?" She said. "Well like I told you, I come here to relax and I'm not the only one. So a few months ago we requested the town council to build some places to sit and play and so." Avery understood. There were no buildings here, but they did make a place for people to gather when they felt the need to. "Did they build a public toilet to?" Avery asked, suddenly very aware of her bladder. "Well, yes they did." Mila said. "Right over there." Avery thanked Mila for her kindness and made her way over to the public bathrooms. It wasn't very clean or comfortable, but her little camping site didn't have a toilet and Avery was not planning to use a bush or anything similar to that. A little uncomfortable from her public bathroom visit she looked around. She saw some trunks and decided to try and catch some frogs to breed. She would be able to sell them for a nice price. She also found some Snapdragon, which she was very happy with. They would look nice between the other plants, but those strawberry's where nowhere to be found. Around noon Avery heard her stomach grumble. She remembered the fish-like things Mila was grilling during her talk and she was relieved to find them, still untouched. She happily took a plate, Mila was a really good cook! 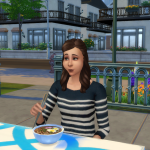 During her meal Avery pondered over getting a job, Avery was a creative person and hoped to be able to do something with that. She searched her phone for job offers. Criminal career, not her at all. Avery was a good person and this didn't appeal to her at all. Culinary career? Her mother was a good cook, but Avery could barely bake an egg, let alone cook an entire meal. She hoped to learn to cook along the way. Painter? Avery did like painting, not as much as she liked gardening, but definitely enough to make her money that way. She could start tomorrow, all she had to do was bring a painting so they could take a look at her work. On her way to trading her grill for an easel, since the park close to her home had grills for her to use, Avery spotted them. Strawberry's! They weren't ripe yet, but they were here! And only a short walk from her home! She couldn't wait to harvest them and plant them in her garden, how beautiful they would look! All she needed was some patience, strawberry's took some time to grow and this was still a little plant. Home Avery made sure to start painting as soon as possible, she hoped she would finish her painting before tomorrow so their first impression of her would be positive. The canvas was expensive, but maybe afterward she could sell the painting. When the painting was finished Avery crawled into her tent to get some sleep. She would finally harvest those plum strawberry's! "I promised I would play with you! Blaaaargh!! I'm a sea monster!" Aww I love it! Avery is so endearing, you can't help but root for her! 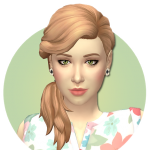 I was actually playing with her parents genes when I stumbled upon her, I found her so adorable! And with a few adjustment she was ready to live life! The begining, when the founders have no money and have to work hard for every simoleon, is always my most favourite part of gameplay. I hope you're enjoing it also. Thank you so much! I'm completely smitten with Avery! I quite enjoy that part too! But it's difficult as well. I'm still trying to figure out how to get Avery a spouse with all that money-making she has to do! Since short Avery now the proud owner of a strawberry plant and a shower. The long days at work had paid off, but now Avery was exhausted. Besides painting for money and to get promoted at her job, Avery often searched the neighborhood for valuable items to sell. She also had to take care of herself, her garden and the conditions she was given before she was allowed to build something on this very lot. Avery had already decided that she wanted to built a park, a really big one. Mainly because she loved the outdoors. But to do so she had to be very skilled at gardening, and that took precious time. Time she didn't really have. Still, Avery managed. Along with her plants, grew her knowledge. Every free minute Avery had, she spend in her garden, even to the point where she started to neglect painting. But she didn't mind. She cared for the plants as if they were her children and she felt bad for not always being able to take care of them as much as she'd like. Often she had to leave to pee or cook, which wasn't a very long walk, but still a very time taking matter. And after long days of work... It was still definitely too far away. The amount of times Avery fainted increased and she realized she had to take action. First of all sleeping on the cold ground after taking a walk to pee wasn't good for her health. And if she didn't do something about that soon, her whole legacy would cease to even make it through the first generation! The first thing Avery did the next morning, was make a call to her boss. She explained how tired she was and that she wanted to use one of her vacation days. After some negotiating her boss agreed, making Avery's weekend start on Friday. Avery walked over to the little park close by to cook herself some breakfast. Usually she ate at work, but today she grilled herself some hot-dogs, praying they didn't taste plum. She didn't really inherit her mother's cooking skill. The hot-dogs must have smelled good, cause from every corner people where approaching the little park. Avery smiled, maybe this was a chance to socialize. Avery invited a few people over to join her. She saw it as a good chance to ask about what people find important in a city. After some quick introducing and the necessary small talk, Avery cut to the chase. "I build here." She said, not really sure how to start the conversation. Summer Holiday, a girl with long braided hair and a white-blue striped polo smiled. "That's pretty cool, I didn't know they had plans for this place!" Avery was relieved, this girl made sure that the conversation wouldn't end in an awkward silence. "They didn't, but I did!" Avery giggled. " Yuki Behr, a blue haired girl with an aspiration to be a DJ looked impressed. "What are you planning to build?" she asked. "A park! I really love nature." A silence fell. "That's it?" Summer asked. "Well, for me it is! I hope my children be willing to build after me." Both Yuki and Summer got enthusiast. "That's such an adorable idea!" and "I wish my parents thought of something like that!" Where the first reactions. The girls chatted and shared some ideas for a while. "I really enjoyed chatting with you guys, but I have to leave. I have quite some things to take care of. It was nice to meet you!" The girls waved at Avery as she took the path home. Arriving home Avery quickly changed, the outfit she was wearing before had gained a strong scent of smoke from the barbecue. Now in fresh clothes, Avery went on her knees to tend her garden, she was halfway fitting the requirements to build and even though she still had a long way to go, she found it very important to not get distracted and lose sight of her goal. And she did, not long after Avery was now the proud owner of a bathroom. It was small and not lit very well, but she would enjoy the privacy and most of all, keep it clean. Maybe soon she would be able to build more, a little house with a real bed. She loved camping! But now and then she missed having the feeling of a real home. Her parents and sisters regularly contacted her, but she was always busy with either working or gardening. Besides, she would really like to settle down herself, but she never met any interesting man since she was always busy. The gardening wasn't something Avery could stop with, even though it's time consuming, it is part of her dream. Her career on the other hand was to earn money. And that was something she could really use too. But with her frogs she regularly breaded and sold, the collectables she found and the money she earned with gardening, her job seemed so unimportant. She could even continue painting and sell those, she didn't really need a job for that! But quitting her job was a really big decision, for now she would keep painting. She still had an entire Sunday to decide! The next morning for breakfast Avery walked to a park a little further away, hoping to meet some new people and find some handy collectibles. She started to grill some fruit and noticed that practice really does make perfect. While the last time she 'cooked' was fairly hard, this time it seemed easier. As she started to eat her breakfast, Avery took a look at her surroundings. Most plants that grew close by had already made an appearance in her garden and she would definitely search that trunk for frogs! Suddenly a girl with a pink hat caught her eye. She would recognize the slim build brunette everywhere. Quickly she shoves what was left of her food down her throat and made her way over to the fisher girl. "Nova!" Avery said as she hugged her sister. "What are you doing in Newcrest?" "Visiting my favourite sibling, of course!" Nova greeted. "But I didn't see any houses, so I decided to fish a little hoping I'd run into you!" Avery laughed. "Houses? I live in a tent, Nova!" Nova looked confused. "A tent? My poor little baby sister! That must be terrible!" Avery shook her head. "I love it! It's so refreshing and I'm learning so much! I can even cook, Nova. Me! Cooking!" Nova smiled "I'm so glad you're enjoying yourself, Avery." The sisters spent their morning catching up and bonding together. Both were sad when midday came and Nova had to leave for work. After Nova left, Avery went to Magnolia Promenade to do some shopping. Avery was planning to build a little home and hoped to score a bed and maybe some other furniture. But even before Avery could enter the store a handsome man approached her. "J Huntington III." Was the only thing he said. "Uhmmm... Avery? Avery Grace, I guess." Avery said, unsure how to respond to the weird introduction of the man. Mister Huntington shoot her a weird glare, slightly upsetting Avery. "Can I help you?" "The man nodded. "Did you fall from heaven?" Avery could not believe this guy! After being completely rude, all he could do was throw a bad pick-up line? Avery decided to prank the overconfident man. "Why? Does my face look plummed-up?" The man looked confused, but then burst out in laughter. "Are you for real?" Avery nodded as the man smiled at her. Completely smitten of his smile Avery thought a little small talk couldn't hurt. "Not all girls fall for pick up lines." Avery pointed out to the man. "I noticed." He answered. "Yet you're the first girl to come up with such a clever response!" Avery's cheeks turned light pink as the guy complimented her. "I don't know what you came here for, but I hoped to buy some furniture." The man nodded. "I think that's what most people come here for. Avery shot him a cocky smile "Care to join me?" All J could do was nod. Together they roamed around the shop commenting on products that were overpriced or just plain ugly. Avery learned that 'J' actually stood for Jameson, that he lived together with 3 roommates and that he was almost always in the gym since he loved being active. His visit to the store was justified by the fact that he was longing to move out soon. The pair stalled until the store was closing up and asked them to leave. Outside Avery's spontaneity took over and she pulled J into a big hug. "I had a blast." She said, making J laugh. "It was just a trip to the furniture store." But Avery disagreed. "No, she said. It was an amazing day where I met an amazing person." Causing J to stay silent besides an almost whispered goodbye. Tired, but satisfied Avery returned home, J was really nice and funny. She really hoped that they'd become friends. Luckily she traded phone numbers with him, maybe soon she could invite him over. J worked as a Tech Guru and his shifts were quite similar to hers, so after work would be great. Then she could introduce him to the life the future builder of Newcrest was living. Soon Avery was the actual proud owner of a house. A small one, but still a house! Also she was officially a grown-up, since she paid her very first bills. Like every day before work Avery took time to take care of her plants. Her garden didn't expand anymore more, since the amount of time spend in her garden already was huge. She did however develop new plants out of her existing ones, like dragon fruit! Still having a little time left before she had to leave to work, Avery decided to cloud gaze. "That one reminds me of my sister." She said about a cloud that crossed a rainbow, since her sister always wore very colourful clothes. "And that one of dad." As a weird cloud shaped as a brain of some sort drifted by. "And that one..." Avery pointed at a heart-shaped cloud. "That one kind of reminds me of Jameson." Avery blushed as she realized what she was saying. She and Jameson spend the last couple weeks bonding, they had become great friends and were basically inseparable. But lately Avery was wondering if friendship was the only thing she wanted with Jameson. Noon fell and Avery's shift was over. She changed out of the clothes that she sweated in all day and walked to her backyard to tend her plants, even though she was exhausted. Watering her precious flowers Avery couldn't resist and took out her phone. "J?" She said. "Do you feel like coming over?" As always Avery greeted her friend with a hug. "I'm so glad you could make it!" She said while being squeezed against Jameson's muscular body. Somehow the hug lasted longer than ever, making both of them a little uncomfortable. "Come in." Avery said blushing, an invite she usually didn't have to say out loud. Together they sat down on the bed, still both a little plummed out from the awkward situation that happened outside. Yet, Avery tried to start a casual conversation. "How was your day at work?" Avery asked. J stared at his feet. "The same as always actually." He said, not actually answering the question. Avery wondered if something was wrong, had she said anything stupid? She hoped she didn't, Jameson was a real bro in his friendships thus that would mean she really did something unforgivable. Jameson took Avery's hands an laid them in his lap. "You look beautiful, always." He correct himself. "I... Uhm..." Avery didn't know what to say, she most definitely did not plum up their friendship. "You're really something else, you know that?" J asked. "Jameson..."Avery started, making J laugh. "That's what I mean, you don't care that I prefer J. You'll call me whatever you feel like." Avery blushed "I didn't know I annoyed you with that." She apologized. J lifted her chin up. "You don't." Shyly Avery looked down. "Jameson..." She started once again. "What is wrong?" J asked worried. "Nothing is wrong!" Avery defended the situation, she was not going to let the situation get ruined like that. "It's just..." She stalled. "It's that I'm afraid I'm misinterpreting the situation." J stared into her eyes. "How are you interpreting the situation?" He whispered as he came closer. "Well, that maybe you and I..." Avery said, not really sure how to finish her sentence. J brushed a lock behind her ear. "I love the sounds of you and I." He encouraged. "Could be something.." Avery said. J's face turned serious. "I should confess something." He said. Avery couldn't hide that those words concerned her. Jameson once again took Avery's hand, not directly looking at her face. "I..." He swallowed. "I have a fear of commitment." A silence fell, and J felt like he should continue. "I think you're amazing, I love being with you and you're the first girl that doesn't make me crave for something else." Goosebumps formed on Avery's neck as J rolled the R in the word crave. "But that stamp." He started. "I don't want to feel tied down, and if you feel an utter need for that I think we should end this before it even starts." Avery didn't quite know how to handle the situation. Did he want to be with her, or not? "Jameson.." Once again the only thing she could bring out was his name, only disappointed this time. J brushed of his clothes and stood up. "Maybe I should leave." He said walking to the front yard followed by Avery. Outside he took her hands and looked at her. "I don't need an answer right now. Like I said, I don't like feeling tied down and I don't like tying others down either." Avery nodded. "But I do hope to hear from you soon. Because I like this, whatever this may be." J took back his hands and laid them on Avery's shoulders wanting to hug her. But Avery pressed her lips against his before he could even come close. She heard the door open and as she peeked through her almost closed eyes she saw J opening her front door, after which he pulled her inside. And directly went for another kiss. "You're amazing." He claimed in a breath pause. Nice...Love the name Jameson for J. Ha! They look so cute together. And he's from a good family. Aww...*blush* Thank you! Made my day!! Avery proudly looked at her latest painting. Jameson's eyes stared at her from the canvas. She wondered if he'd like it. The last few weeks with him had been amazing. He would often visit her after he had finished working, then they would talk, cuddle and kiss. J wasn't Avery's official boyfriend, but they were definitely more than just friends. Still, the fact that their relationship status remained unchanged sometimes worried Avery. What if Jameson would make a move on another girl, was she allowed to be angry? Officially they weren't anything. The next time Avery saw Jameson, she decided to address it. "Jameson... What are we?" Not the most tactful way to speak to someone with a fear of commitment, but at least Avery was sure she got her point across. J shuffled uncomfortable. "Avery, I thought we talked about this." Avery shook her head. "No, I mean.. What are our rules?" "Rules?" J seemed confused. "Yeah." Avery said. "Because the thought of you kissing another girl makes me so mad, but I don't even know if it's justified." J stared into Avery's eyes, not sure what to say. "And I don't know how you feel about that." Jameson immediately took her hands. "The thought of you with another man, it infuriates me." Avery gazed at him. "So that's of limits for both of us?" "Definitely." J answered, without hesitating. "But how do I introduce you?" Avery was still confused. "My friend whom I kiss?" "How about the man I'm with." Avery chuckled. "No stamps, huh?" J got all excited. "It's not! We're together, right?" Avery nodded. "Right." "So it's perfect. I'm with you." Avery stared at the ground, mumbling. "Excuse me can I buy you a drink? No, I'm with someone." She then looked up at Jameson. "That could work!" Jameson hugger her. "I'm glad you talked about this with me." Avery could only nod 'It's almost the same as boyfriend and girlfriend' she thought. "Now let's go inside, it's freezing out here." Inside Jameson couldn't help but show his affection towards Avery. (In front of her brand new KITCHEN) He brushed some hair behind her ear while leaning in close. "I love you." He whispered. "I love you too!" Avery said. "Very, very much!" "A little bird whispered to me that with the expanding of your house, you bought a new bed." Avery flushed red. "I did.." J smiled. "Care to go test it?" Maybe Avery should've gotten some new curtains as well! J and Avery's relationship, uhm excuse me, together being grew along with their picture collection. They had serious talks about their fears and wishes and still managed to make a lot of fun! "Avery!" Jameson greeted her as he pulled her into a deep kiss. Avery didn't mind. Even though Jameson was non-committal, he was very affectionate. Constantly kissing or hugging Avery. Avery was a little nervous, she had something important to ask J. "Jameson." She started. "Lately you've been complaining about your roommates a lot. You've been spending almost every night here, only ever leaving to work. Jameson looked ashamed. "I'm sorry Avery! I didn't know I was bothering you so much!" Avery shook her head. "You're not bothering me at all! In fact, I was wondering if you'd care to move in." J became really quiet. "I thought you'd be able to bear me as roommate a little better." Avery reassured him, watching herself to not start on the topic 'defying the relationship'. "Where would I sleep?" J said. "You only have one room!" Avery burst out in laughter. "Are you serious? Where you always sleep!" Jameson laughed now too. "So?" Avery said. "What do you say, Jameson?" All he could do was nod. "I'd love to." That night was the first night J slept over, without having to leave. He would soon get his stuff and make things all cosy with Avery. He would try his best for her to make this work. Even if he at some point would start to feel uncomfortable. J went fishing in the morning, Avery had a beautiful garden and she had told him that fertilizing her plants with fish would make their quality even better. Immediately J searched for his old fishing gear and went to a nearby lake. Avery rambled a lot and she never meant to say that Jameson had to go fish, but she appreciated the gesture very much. Yes, Jameson was the most perfect roommate. Aww Avery has a kind-of-not-really quasi-boyfriend/roommate! And also a kitchen, that's probably the most important part! It was noon when Avery and J arrived in Granite Falls, the tents were already standing steady. Two big ones and a little one. Avery had thought this through for weeks. Her and Jameson together being had gotten pretty serious and she decided to take him camping for a week. With her family. "So, you're Jameson. The man who swept my little baby-girl of her feet." Hugo had always been a direct man and he made no exceptions, luckily J knew how to deal with that. "The one and only! Avery is amazing, she must have learned that from someone pretty great!" Hugo laughed? "Aren't you something! Avery must be pretty serious about you." J's face lit up. "I sure hope so, sir." "Now, sis. Let's check out that camping you're so fond of!" Hugo had already crawled into a tent to get settled, followed by his wife. "Aw plum! Why do I have to sleep in the small tent!" Avery chuckled. "Maybe you can convince Jameson to switch with you." But J overheard and pulled Avery close. "No can do, try again tomorrow." Avery giggled as Nova crawled into the small tent. She felt J's lips press against her temple. "Now you get settled in the tent, I'll join you as soon as I come back from using the bathroom." Washing his hands, J smiled to his reflection. He was happy with the way things were right now. What Avery and he had was special, but exactly what he had always wanted. Nothing more! And her family seemed to accept him without any problems. The next morning Avery grilled burgers for breakfast while her parents slept in and Nova played horse-shoes. "Owh, Plum!" and "Oh my creator!" Where phrases Nova regularly shouted, making Avery chuckle. That morning they would all eat together and as midday fell Nova and her parents would go for a hike. While Avery and Jameson would visit the spa, for some well deserved relaxing. "I'm really glad you and my parents get along so well, it means a lot to me." Jameson gave her a reassuring hug. "They made you! How could I not like them?" Making Avery giggle. J brushed a lock out of Avery's face. "Now you go get that well deserved massage, then I'll meet you at the sauna afterwards." "You're really tense." The masseuse said. "How come?" "Well," Avery started. "I'm on this huge quest like something." Avery said. "I'm assigned to build a city, but I can't until I meet the requirements. Which are very heavy! And on top of that I have a job and a love life to manage." The woman nodded as she proceeded to knead Avery's shoulders. "That's quite a lot, do you still enjoy doing it though?" "Yes, a lot!" Avery said. "I can barely wait till I get to leave something beautiful to the world! I'm just afraid I'll plum up." But the woman drifted of a few words ago. "Leave something beautiful to the world." She muttered as she changed the way she was kneading before. As Avery approached Jameson, she felt a certain kind of urge. Something about that woke up a hunger. She took her love by the towel and pulled him into the sauna. "Hello, handsome." She purred, after which she kissed him. Thank the Creator the sauna started to produce a lot of steam! The trip neared an end, making the lovebirds spent as much time together as possible. Tomorrow evening the magic would end. As Jameson put Avery back on her feet, literally he had just swept her off, he pulled out of the kiss. "I had an amazing time, your parents are great and so is your sister!" Avery smiled, she was nervous. Yesterday she had made a discovery, and she couldn't wait to tell J. "Jameson, I'm... No, WE are expecting." Avery said, carefully smiling. "What?" Jameson said. "A little nooboo." Avery continued. "I found out a few days ago, and I..." But J interrupted her. "Avery! I'm not fit as a parent." Jameson was clearly scared, so Avery tried to reassure him. "Me neither, Jameson. But we'll work this out! You and I!" She put her hands on his shoulders. "I promise." But J had none of it. He shook her hands off. "How could this happen! When were we ever unsafe?" Avery put her hands to her chest. "I don't know, but this nooboo deserves love. It's coming anyway!" Jameson put his hand to his head. "You don't understand Avery...."As he removed his hand to finish his sentence, J could not believe his eyes. The first thing he saw was a ring, shining because the sunlight kissed it. Behind it was Avery, on her knees. An insecure smile on her face. "Jameson." She started. "I don't know why or how this happened, but I can't be anything but happy." As Avery continued her speech, Jameson felt touched. Smiling because of the compliments. "I've loved you for a long time now, and I thank the Creator for everyday I'm allowed to spent with you. But a nooboo is a serious matter. At first it's small and vulnerable, but it will grow and start to understand things. So I want to make it's live as easy as possible." Avery swallowed. "Jameson Huntington III, will you make me the happiest woman on the world and marry me?" Jameson's smile melted and his face turned ice cold. A mixture of anger and sadness appeared. In one move he smacked the ring out of Avery's hands. The camping lot and spa are part of a complete granite falls makeover made by the incredible Sashraf. These builds are to be found here. Aww...J seems so heartless! I doubt he'd really do that but that's how sims say no. I'm sad for Avery. How will they proceed from here? I don't believe I ever had a non-committal sim say yes to a proposal, but a girl can dream! Avery and J have a lot to talk about! Maybe if he wasn't a sim he wouldn't have been so ruthless.